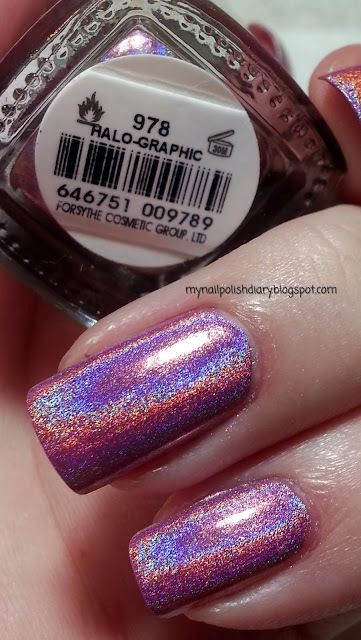 Color Club Halo-Graphic from their Halo Hues collection recently released is a pink linear holographic. Oh My Heck the holo effect in this collection. TDF! I could not stop looking at my nails. I used Aqua Base with this, and while it's not necessary, I really feel like it extended my wear time and might have made the holo even more intense. I wore this for four days. Like mind blowingly intense. Looking forward to wearing the other shades in this collection. 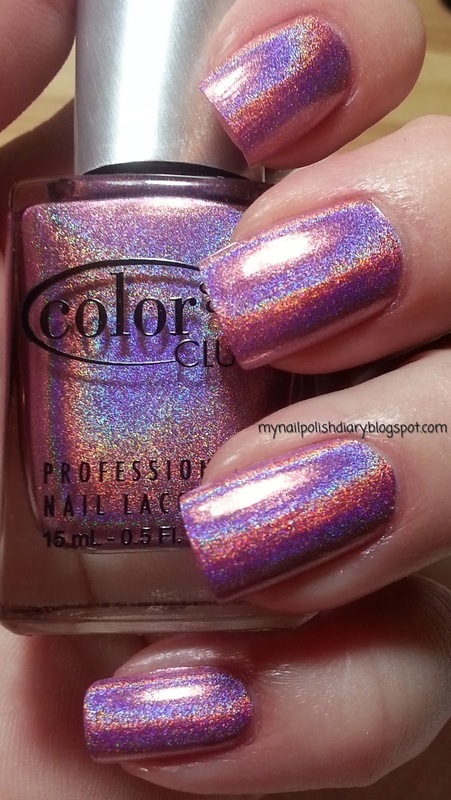 AWESOME HOLOOOOO!!! I wish Color Clubs were more prolific in my area. This color is so lovely on you. I'm just deciding to purchase some from this eBay store, I've never used them before so was wondering how to wear them, I came across your post, thanks for sharing! Glad to be (hopefully) helpful :) Thanks for looking Goddesslily!